Acclaimed action filmmaker Daniel Calparsoro (Combustion) makes a move into heist with TO STEAL FROM A THIEF. 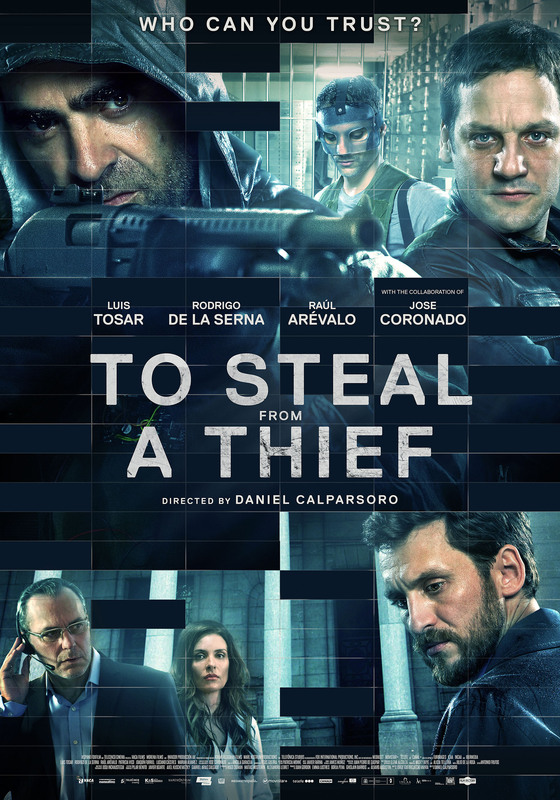 Fiercely realistic sequences intermix with character-driven lies and tricks in this contemporary politically engaged action thriller led by Luis Tosar (Cell 211) and Rodrigo de la Serna (The Motorcycle Diaries). Six armed men attack a bank in Valencia. The gang has a seemingly cut-and-dry mission: to clear out the most safe deposit boxes possible and to escape through a tunnel that was dug out in one of the bank’s offices. But there are just those days when nothing goes as planned. The incessant torrential rain falling on the city has flooded the escape route. With no back-up plan for a way out, mistrust leads to harsh confrontations between the two leaders of the gang. Outside, tensions rise within the security forces who have surrounded the bandits. The orders coming down from “upstairs” seem contradictory and neither the SWAT team nor the negotiator understand quite what they’re dealing with. Soon, both sides start to discover that what is hidden in the bank’s safe deposit boxes could be much more important that a handful of gems and a few wads of bills. A game is thus underway, one where honesty and trust don’t always accompany truth. Nothing is what it seems and no one knows exactly what is the piece of the puzzle that will solve it.